A German rapper labeled an international terrorist for joining ISIS has been killed in an airstrike, according to the Pentagon. The rapper — born Denis Cuspert — had performed under the name "Deso Dogg" and since joining ISIS gone by the name Abu Talha al-Almani. Department of Defense spokeswoman Elissa Smith said that an Oct. 16 airstrike near Raqqa, Syria, had killed Cuspert. "Cuspert was a foreign terrorist fighter and operative for ISIL who used social media to take advantage of disaffected youth and potential Western recruits," she said in a brief statement, using another name for ISIS. "He publicly threatened the president of the United States and German citizens; he also encouraged Western Muslims to conduct attacks." There was no immediate comment from German authorities on the death of Cuspert. Rumors of his death or injury have circulated in the past. He was labeled a "specially designated global terrorist" earlier this year by the State Department, which said Cuspert was "emblematic of the type of foreign recruit" ISIS seeks and had been a "willing pitchman" for the organization's "atrocities." According to the State Department, Cuspert joined the group now known by ISIS in 2012. He pledged allegiance to its leader and appeared in numerous propaganda videos for ISIS — including one where he appeared to be holding the severed head of a man executed for opposing the terror group. The Berlin-native had also been on German intelligence officials' radar for a long time. Last September, German intelligence officials put together a 25-page analysis on the Berlin native’s radicalization process. 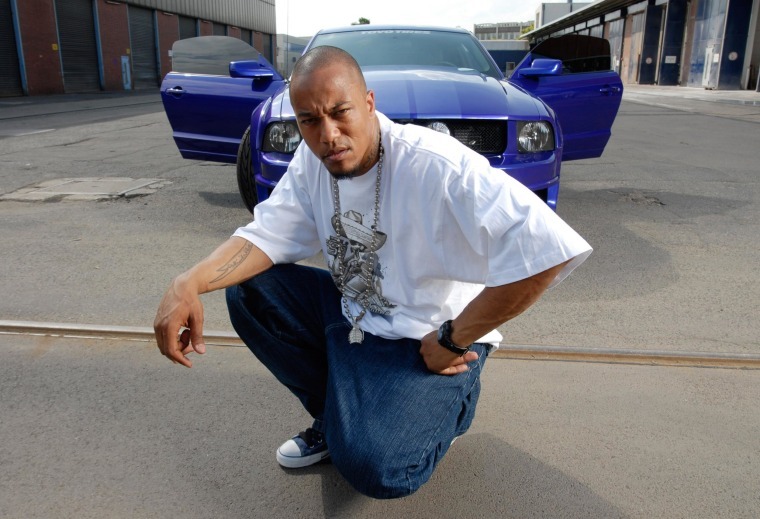 It said that Cuspert — who as Deso Dogg rapped "welcome to my world full of hate and blood" in a 2007 music video — was believed to have been radicalized in Germany's Salafist scene and quickly gained popularity as a radical preacher who tried to recruit followers for ISIS. Cuspert "in a few years developed into a well-known German-speaking demagogue of the armed Jihad," the report said.